Obama was addressing a speech in honor of Nelson Mandela on his 100th birth anniversary. Former US President Barack Obama, during a major speech, invoked Mahatma Gandhi and his influence on his life while, also clearly expressing his views on equality, justice and freedom. The first black President of the United States has many times before shown his fascination for Gandhi. The former President had a photo of Gandhi on the wall of his Senate office and also mentioned him in his speech while accepting the Nobel Peace Prize in 2009. Obama was addressing a speech in honour of anti-apartheid leader Nelson Mandela on his 100th birth anniversary. In his address to the audience, he called for preserving democratic freedom which is the key to peace. Obama said, "Let me tell you what I believe. I believe in Nelson Mandela's vision, I believe in a vision shared by (Mahatma) Gandhi and (Martin Luther) King, and Abraham Lincoln, I believe in a vision of equality and justice and freedom and multi-racial democracy built on a pretence that all people are created equal and are endowed by our creator with certain inalienable rights. And I believe that a world governed by such principles is possible and that it can achieve more peace and more cooperation in pursuits of a common good. That's what I believe." Obama further said that the world must choose between two visions of humanity’s future. Obama was returning to Africa for the first time since he left office in 2017. He was speaking at the 16th annual Nelson Mandela Lecture. 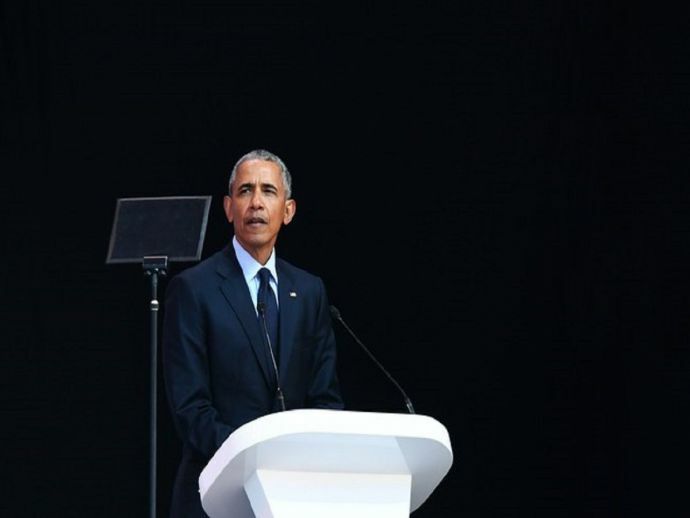 Titled "Renewing the Mandela legacy and promoting active citizenship in a changing world," Obama’s lecture spoke of how the world evolved especially in term of race relations and human rights, over the past 100 years. He said, "It is a plain fact that racial discrimination still exists in both the United States and South Africa."